The official launch of the RELIEF Centre is this week in Beirut. The official launch of the RELIEF Centre took place between 2nd and 6th of October. The main launch event was at the Grand Serail - the headquarters of the Prime minister of Lebanon. Partner institutes Centre for Lebanese Studies and The Issam Fares Institute at AUB were also present. The team have been working hard with their Lebanese colleagues this week working on the first steps of the project. Speaking to journalists, Professor Henrietta Moore emphasised how "In many challenging situations in the world, it’s often the case that projects come in saying that they would do something, and when they do something, they go away; and then whatever they have done stops which does not go into anything in the future; this is why it is very important to start thinking about long-term legacy from day one". Professor Moore also explained how the RELIEF Centre, like other IGP projects, would go beyond old economic indicators which can side-track real progress, saying “having a healthy economy is not just about having headline figures to report in newspapers, but also about making sure that you do something with the wealth your country creates, and you do it for everybody in that situation across the country and, in particular, attend to those who are most vulnerable”. 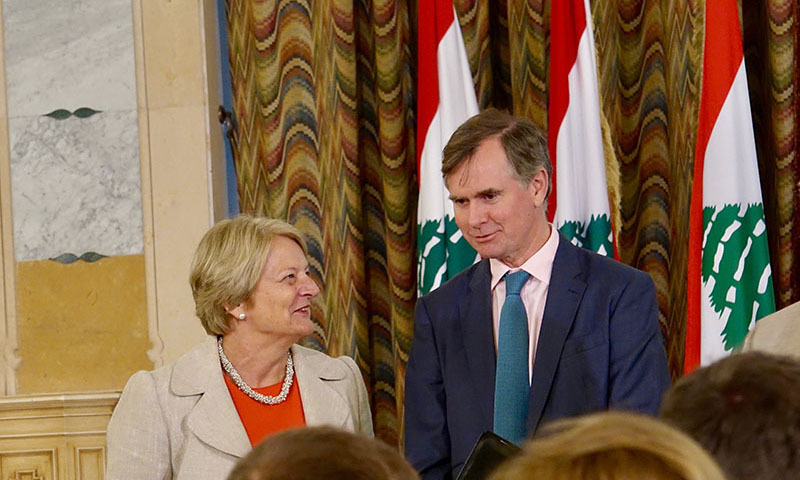 The launch event at Grand Serail was followed by an academic launch - "Inclusive Growth and Prosperity in Lebanon: What Does It Look Like, and How Do We Achieve It?". The Keynote Address was delivered by Professor Henrietta Moore. This was followed by introductory talks on the RELIEF Centre's research themes. Liveable Cities was presented by Dr Camillo Boano, Creating Value by Dr Fouad Mohamed Fouad, Future Education by Dr Tejendra Pherali and by Maha Shuayb, with all this moderated by Dr Carmen Geha. On Tuesday 3rd October, The Issam Fares Institute at AUB hosted the RELIEF Centre's first International Advisory Board meeting. This was attended by Reda Sadki (Red Cross and Geneva Learning Foundation), Mona Harb (AUB), Frank Hagemann (ILO), Mireille Girard (UNHCR), Adam Coutts (Cambridge University), and Philipp Misselwitz (Habitat Unit, Urban Catalyst), as well as the RELIEF Centre team. A discovery meeting was hosted between all four research strands - Liveable Cities, Creating Value, Future Education, and Prosperity Gains and Inclusive Growth. In this meeting, Co-Investigators presented and discussed progress so far and next steps. We also held the first of a six-part event series which will bring stakeholders together to discuss specific challenges to prosperity. The first of these was called 'Prosperity in the age of mass displacement'.